Ocra stir-fried in mustard oli with onion and Bengali spices. 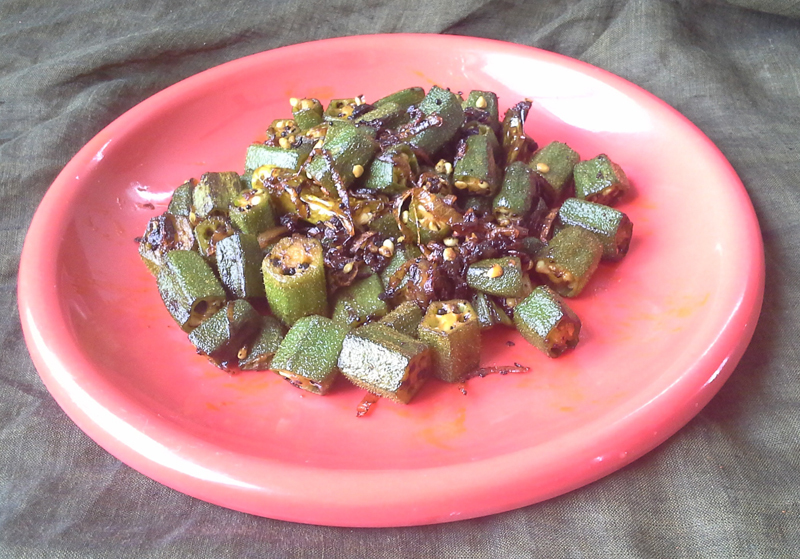 Bhindi chochori is a Bengali favorite. 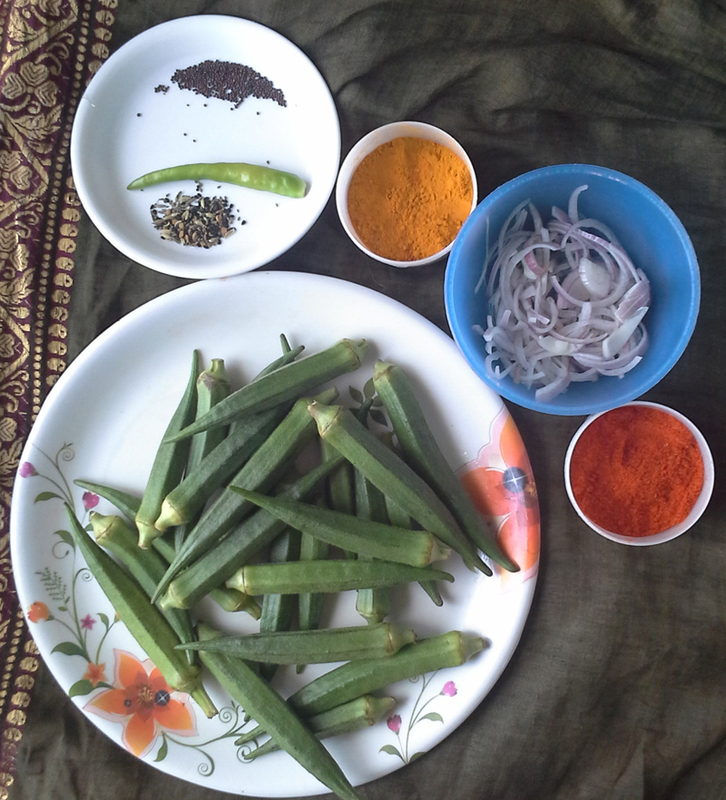 Ocra (ladies finger) is stir-fried in mustard oil with panch phoron. Usually Bengalis will add potatoes as well but it’s optional. This recipe requires minimal spices, takes less time and is healthy as well. Panch phoran is a whole spice blend made with five spices and it's very popular in North and East India. Panch phoron is a blend of five spices viz. fenugreek seed, nigella seed, cumin seed, black mustard seed and fennel seed in equal parts. Cut the ocra in 1 inch pieces. Inna wok heat 2 tbsp oil. Add the Bengali panch phoron, mustard seeds and slit green chili. Sauté till they are aromatic and add the sliced onions. Fry till the onion become translucent. Add the ocra and fry on a medium heat. For 5 minutes. Add the turmeric powder, chilli powder and salt. Cook for another 10 minutes stirring occasionally in low to medium heat till the ocras are cooked. Serve it on side with lentils and rice. You can also squeeze half a lemon on the ocras for a tangy variation.